To insert a table into a Page or Post, click on the ‘Insert Table’ icon in the toolbar above the Visual Editor (pictured left). The ‘Insert/Modify Table’ box will open. 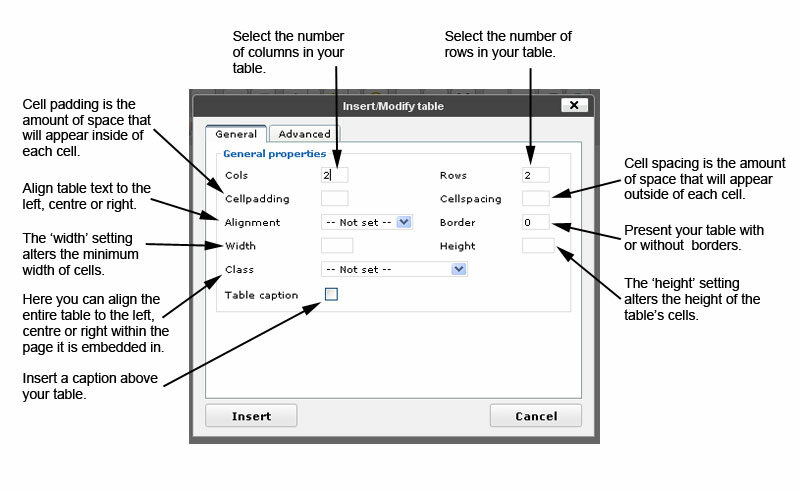 Here you can select how many columns (Cols) and rows you’d like in your table. 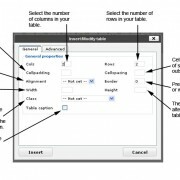 You can also modify the appearance of your table here. See the screen grab (pictured right) for more detailed information. 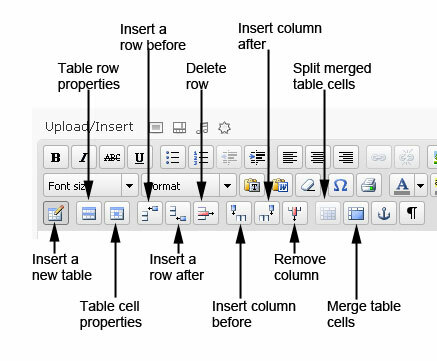 In the toolbar above the Visual Editor there are more controls to help you edit tables. View the tables screen grab (pictured left) for more information. 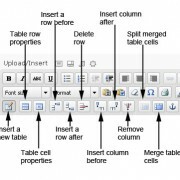 To insert a table into a Page or Post, click on the ‘Insert Table’ icon in the toolbar above the Visual Editor. View the tables screen grab for more information[d2] .